It wasn’t supposed to turn out like this. When you were younger, you had some pretty wild dreams and aspirations. You weren’t going to grow up to work some kind of normal job. When you grew up, you were going to fight against the forces of evil. When you grew up, you were going to lead a crew of righteous heroes. When you grew up, you were going to be a robot that could transform into a semi-truck and you were going to blast Decepticons to smithereens. Of course, you grew and found out that “Transformer” just isn’t a real career for adults, but we think that you shouldn’t let go of that dream you had as a kid. You can totally be a Transformer and not just any Transformer. You can be the leader of the Autobots. 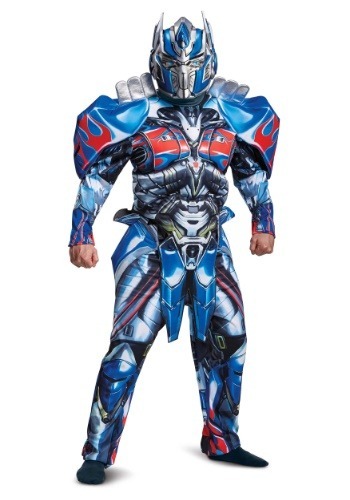 You can be Optimus Prime himself and all you need is this deluxe Optimus Prime costume. 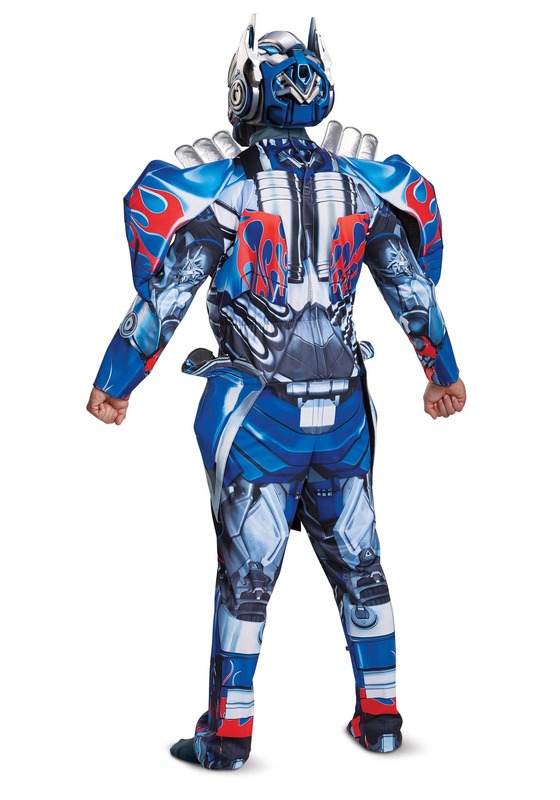 This adult Transformers 5 Optimus Prime costume is a deluxe outfit licensed from the movie that will have you ready to take charge of the Autobots. It comes with a full jumpsuit that has plenty of printed details on the front. Attached armor pieces on the shoulders and chest help give you a fully robotic look. It even has silver metallic accents on top. The helmet is a two-piece mold that fits together to form Optimus Prime’s head. Another armor piece fits around the waist to tie the whole look together. When you start wearing this Optimus Prime costume, you can pretend that you actually grew up to become a Transformer, even if your everyday life is a little less extraordinary than being the leader of the Autobots. You can even gather up a few friends and assemble a whole crew of Transformers when you check out our other adult Transformer costumes.